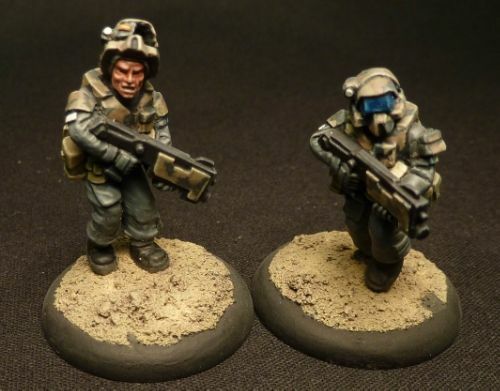 ...can't make up my mind about what colour the comms unit should be. 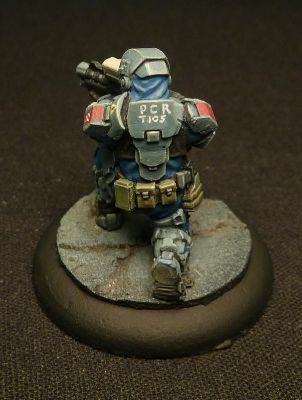 Base is done so just need to make a decision. 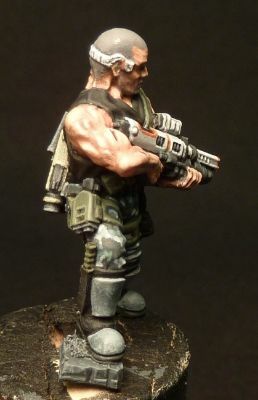 ...some older figures and vehicles in both 28 and 15mm as I'm running out of display space. 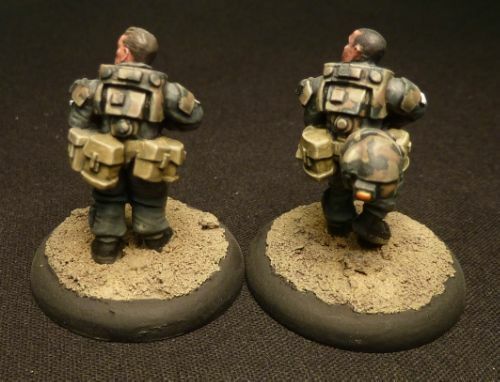 First are six Pig Iron Heavy Infantry troopers conversions. 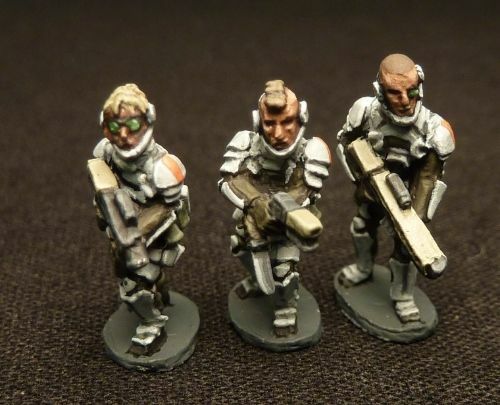 Each of the troopers has had some additional pockets added to their fatigues and five have had their heads swapped - one of the kneeling troopers has had the helmet hollowed and a new, female face added. 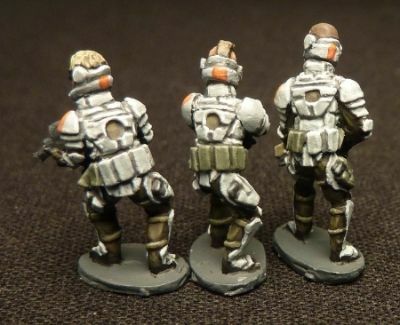 These will go on Ebay next week with a start price of £150 for the set plus postage but if any one of the regular visitors here wants them I'll pay the postage. 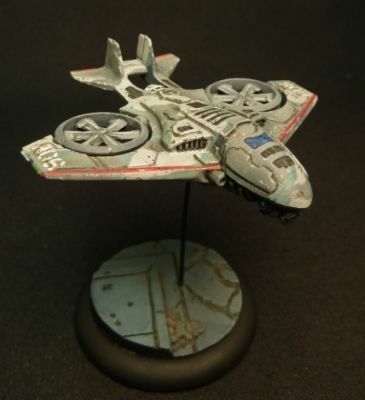 Post in the comments section if interested. 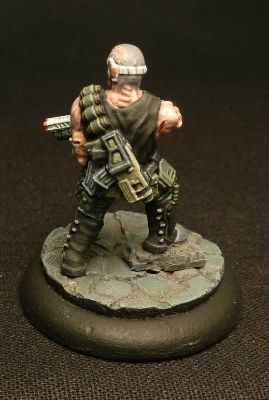 First come first served; payment by paypal only. 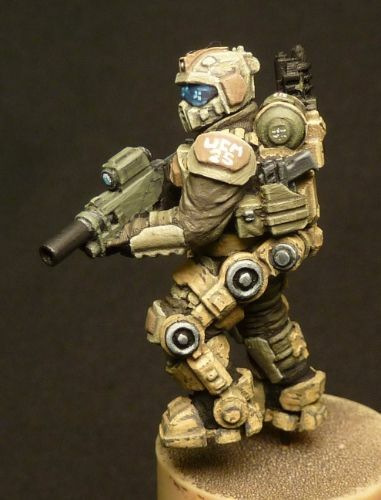 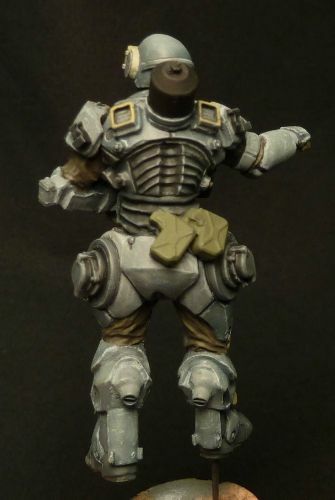 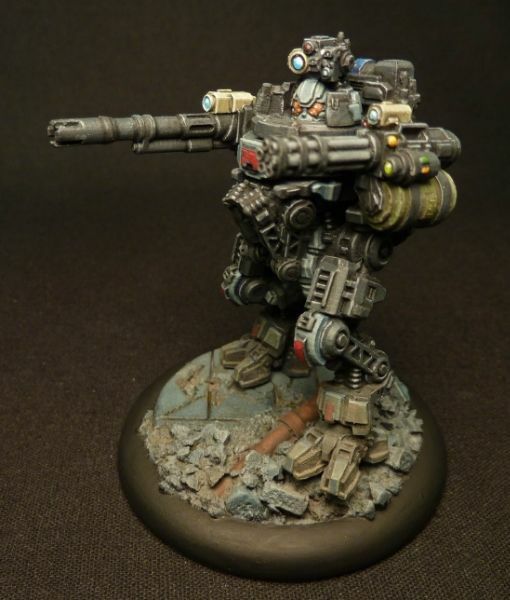 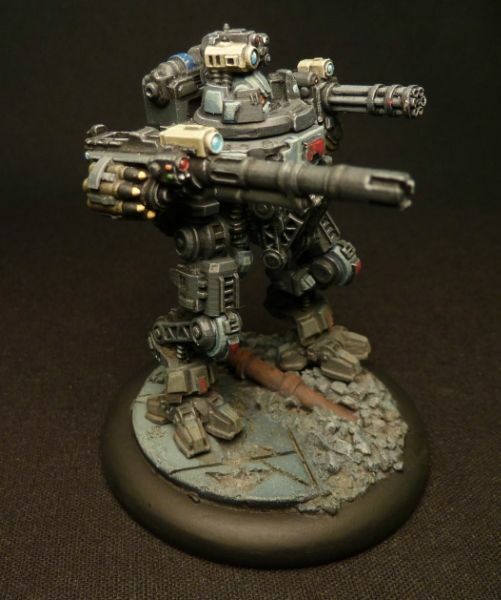 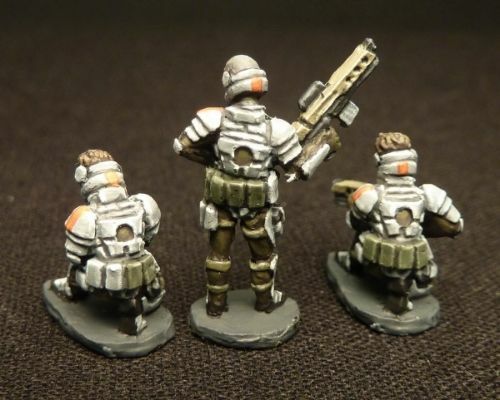 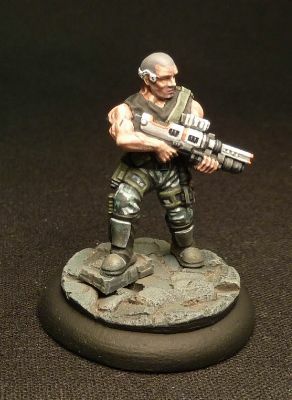 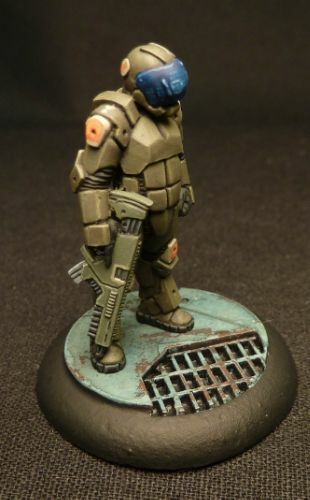 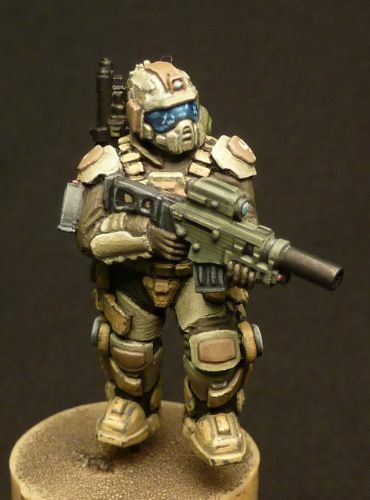 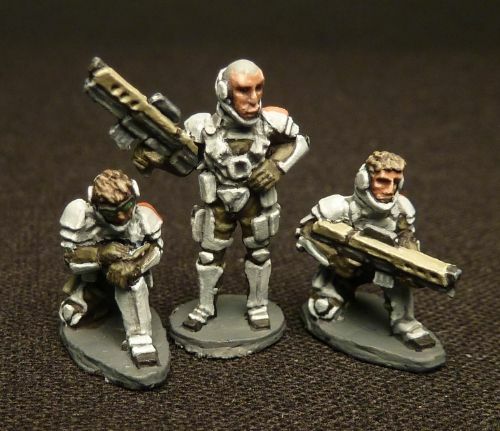 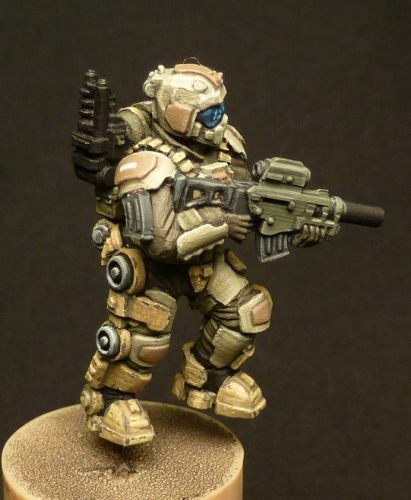 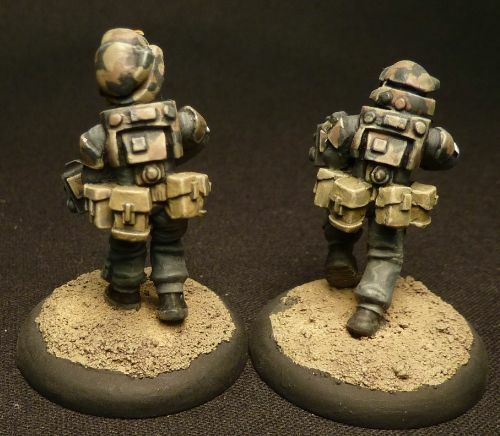 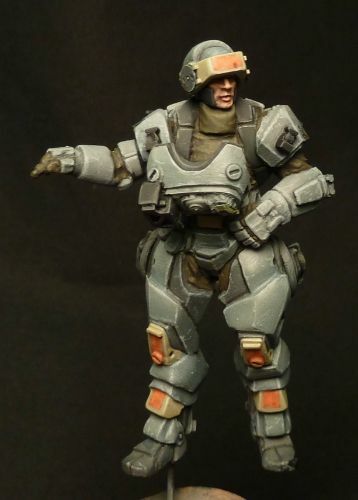 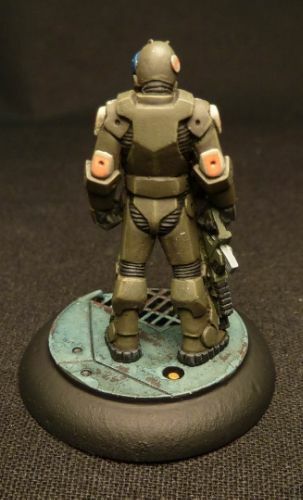 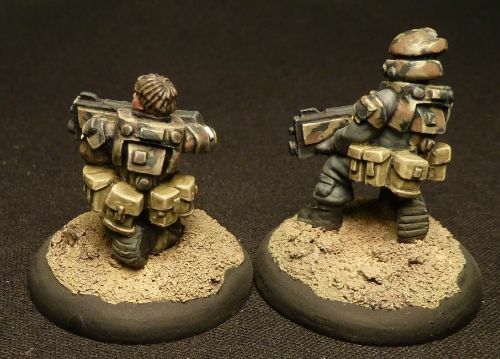 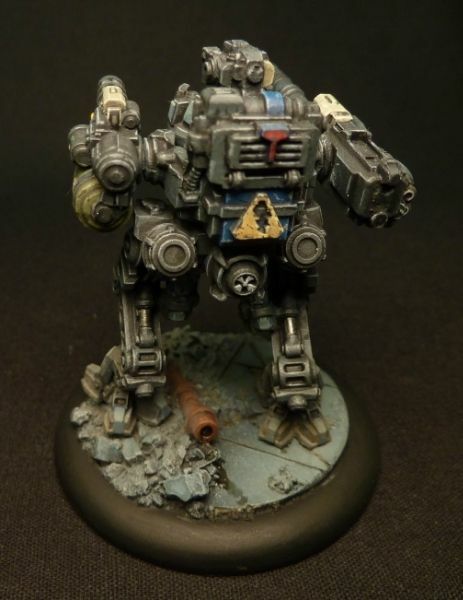 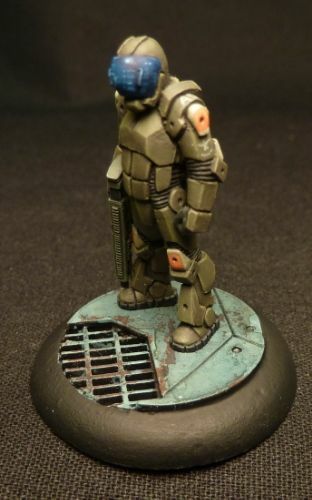 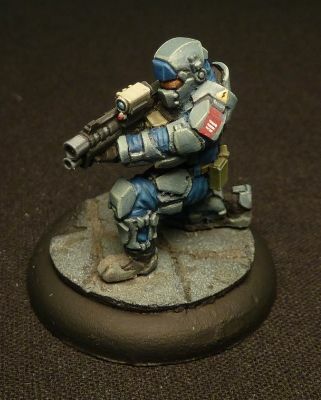 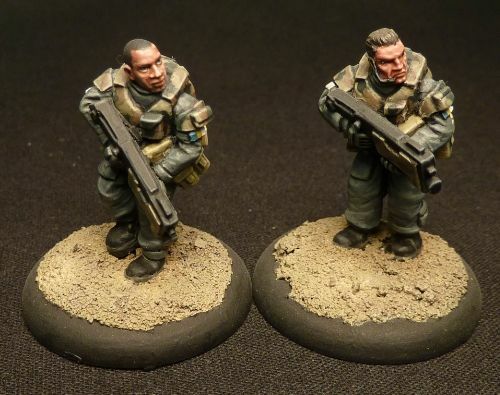 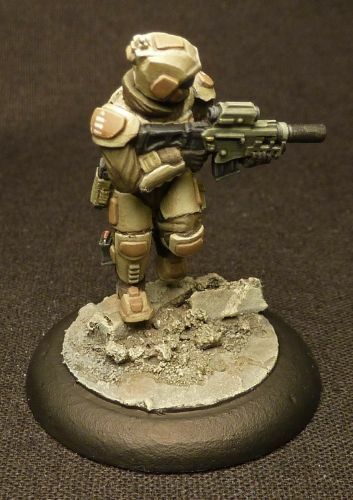 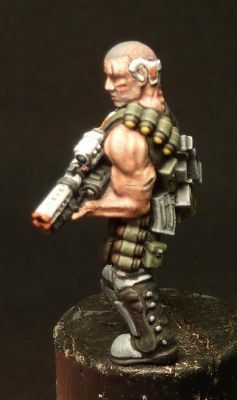 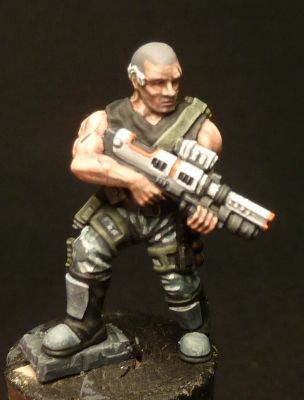 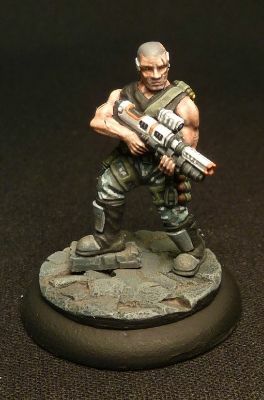 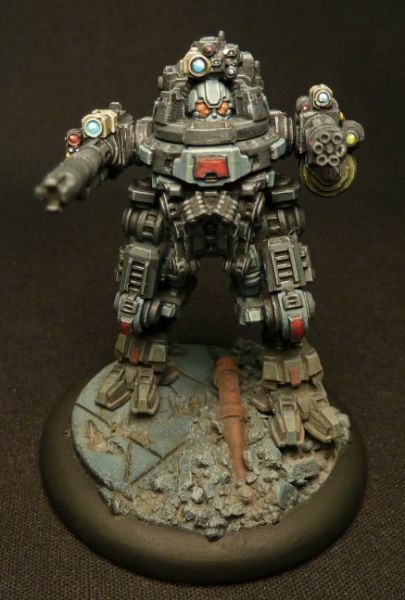 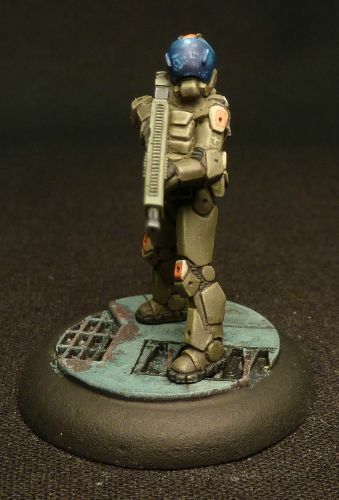 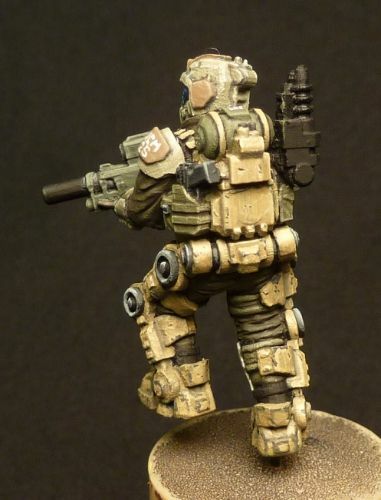 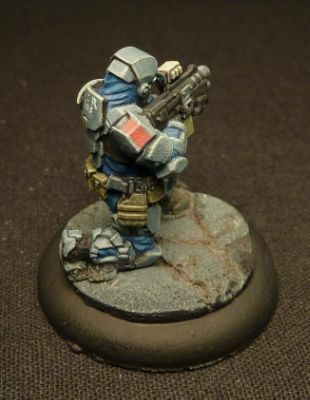 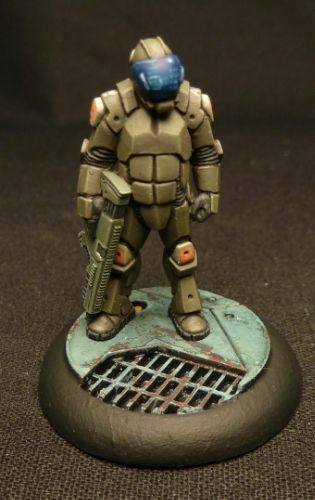 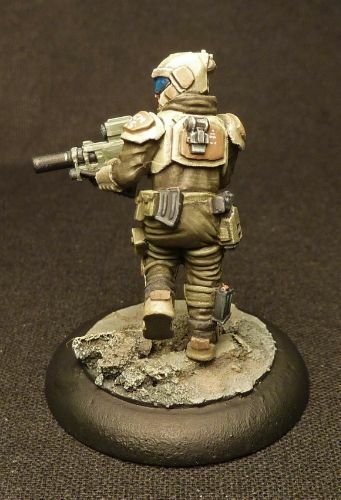 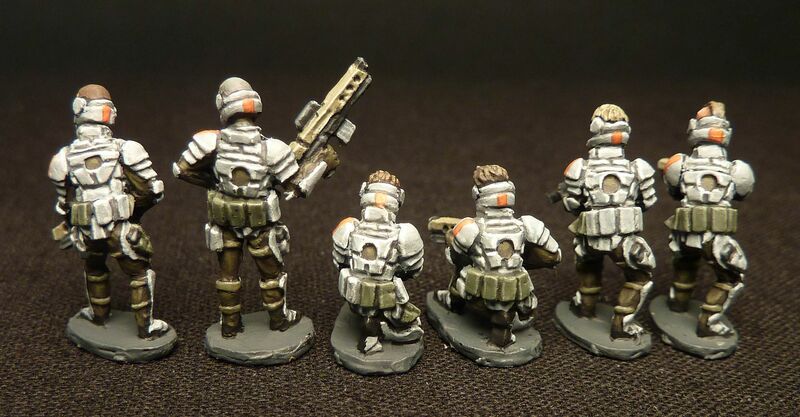 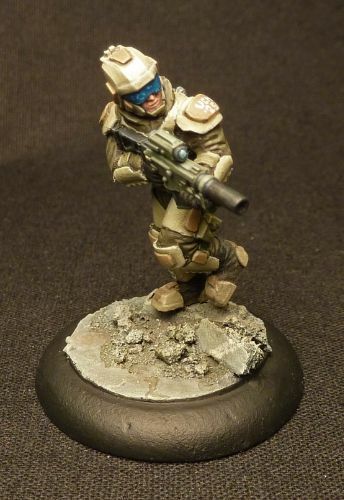 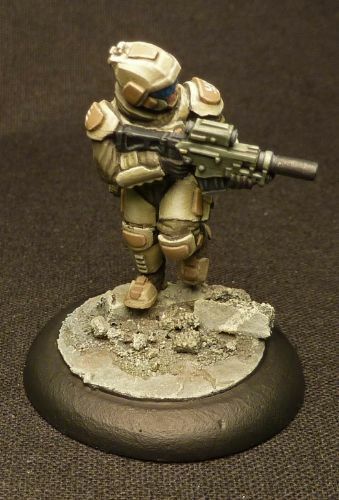 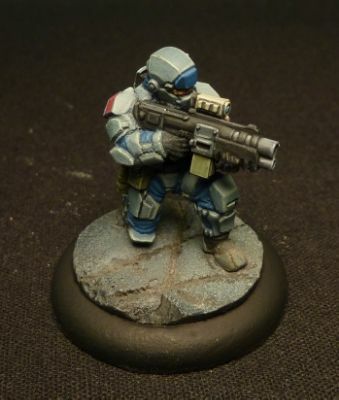 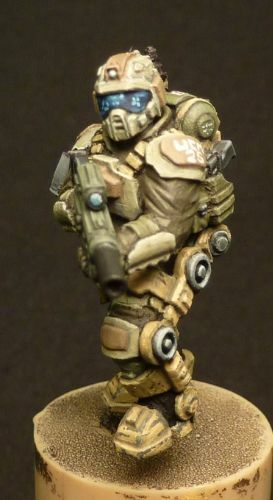 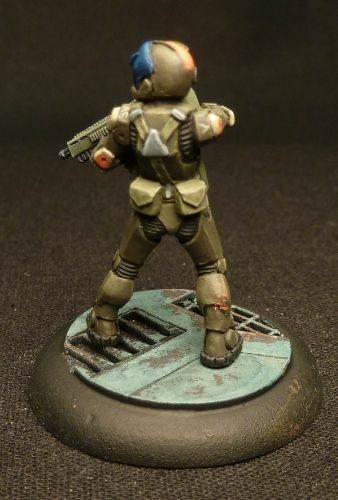 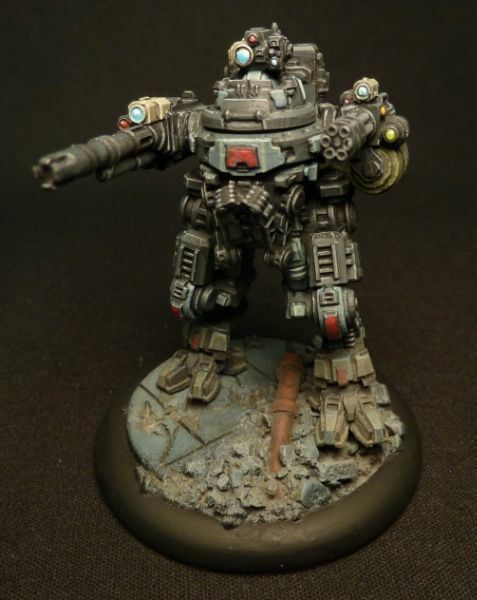 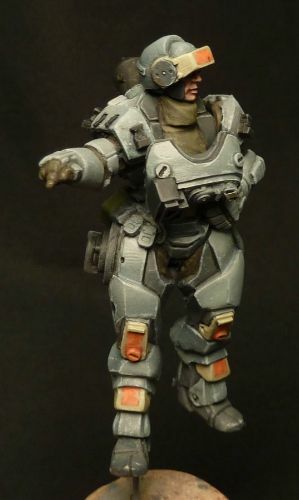 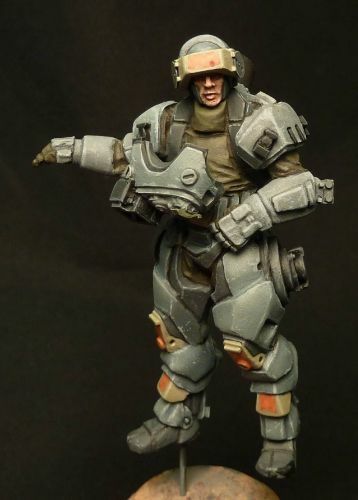 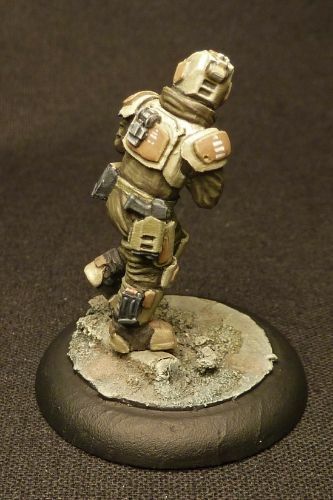 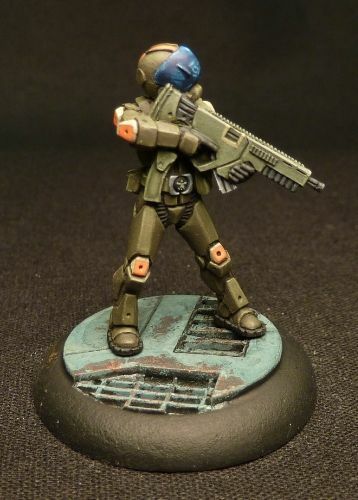 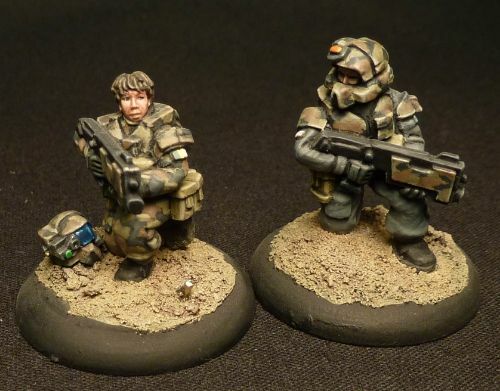 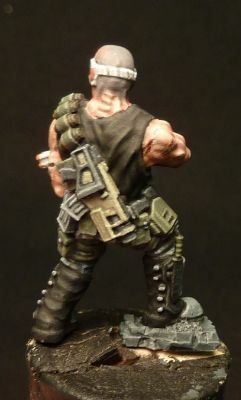 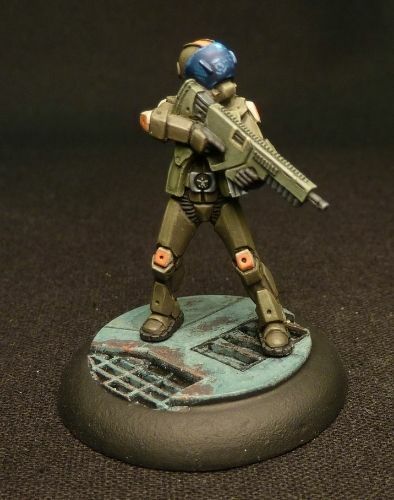 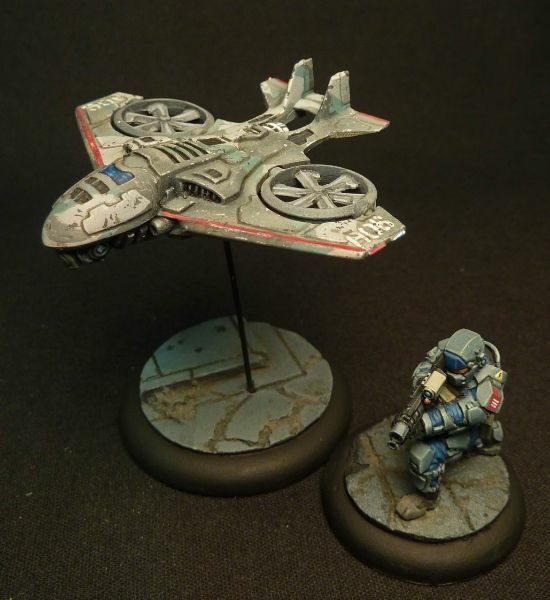 ...Omega squad from Clear Horizon Miniatures.